Mirabilandia is the largest amusement park in Italy and Europe.  It is located in the close hinterland of Lido di Savio, along the Strada Statale Romea SS16... There is no doubt that for all the guests of the Riviera Romagnola Mirabilandia represents an mandatory stop, an appointment. In Mirabilandia everyone has fun, adults and children, on an impressive number of amusement rides designed to satisfy all tastes. And if one day may seems to be not enough to experience all the fun of Mirabilandia, there is no problem: the day after you enter for free! 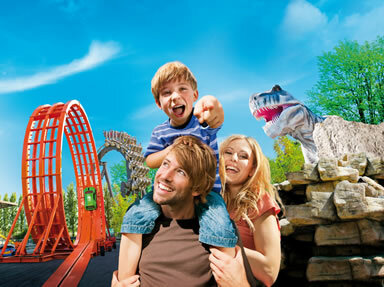 Mirabilandia is just 11 kilometres by car from Lido di Savio: it is a few minutes journey. Public services and transport are present in large numbers in order to facilitate the enjoyment of all the guests of the area. Many Hotels Lido Di Savio also offer holiday packages with entrance to Mirabilandia included in the price of the stay. Thanks to discounts and offers guaranteed by the hotels Mirabilandia, a holiday in Lido di Savio can be even more special. All the amusement rides of Mirabilandia are fun and curious, but those that made the park famous throughout Europe have been especially its Extreme Amusement rides, designed for all lovers of thrilling and wild experiences. Katun has become the symbol of Mirabilandia: an inverted coaster that travels at an insane speed within an ancient Mayan city, between laps of death, serpentines and parabolic curves. Other famous amusement rides of Mirabilandia are Columbia and Discovery: the two Twin Towers of the park. On the first one you can feel the experience of being shoot upwards at the same speed with which the air planes take off. On the second you can instead feel the thrill of the absence of gravity in free fall, precipitating from the height of 60 meters. ISpeed is the newest extreme amusement ride of Mirabilandia: a roller coaster with magnetic launch that travels at the speed of a Formula1 car, with an acceleration from 0 to 100 km/h in 2.2 seconds. 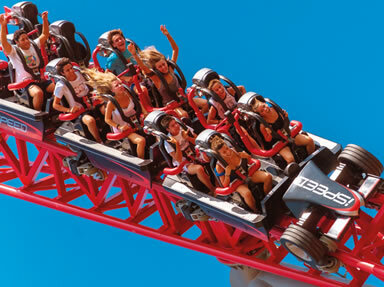 But Mirabilandia is not only a place of extreme entertainment. The largest part of the park is represented by its amusement rides for all, designed for the whole family from adults to children Reset - Anno Zero is an interactive dark rider set in a fantastic New York in which a terrible catastrophe has happened. Raratonga is a hilarious itinerary by boat around a volcano of Polynesia. Niagara is an aquatic descent on a barge that raises a tidal wave of 15 meters. Then there are the swirling Pentole Stregate, the small roller coaster Pakal , the classical trip in the river rapids Rio Bravo. Even children have amusement rides designed especially for them in Mirabilandia, as the monorail Monosaurus that allows them to make a journey in time up to the Jurassic. From the windows of the wagons you look at the world as it was millions of years ago. Among plants, rocks and the rivers you can admire the splendid reconstructions of dinosaurs in their original size. 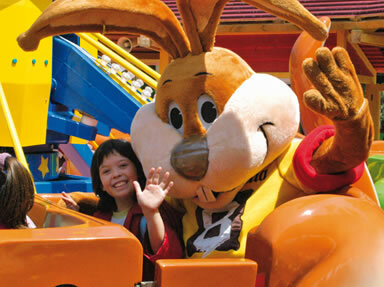 Other fun amusement rides for children are the Casa Matta, Ottoland, Fantasyland, the Mini Rapids and Balena Amica. Despite the long list of amusement rides, fun is not yet over. Few years ago in fact has also been inaugurated Mirabilandia Beach: the reproduction of a tropical Atoll, where you can relax in the sun or dive in the swimming pool. Slides, rides on an inflatable boat and many other amusement rides surround the atoll, giving life to a real aqua park. In addition there are the many shows that at established times animate the life of Mirabilandia with dancing, entertainment, and concerts. The most famous is Scuola di Polizia: a playful show of stuntmen competing in crazy stunts with cars and motorcycles.